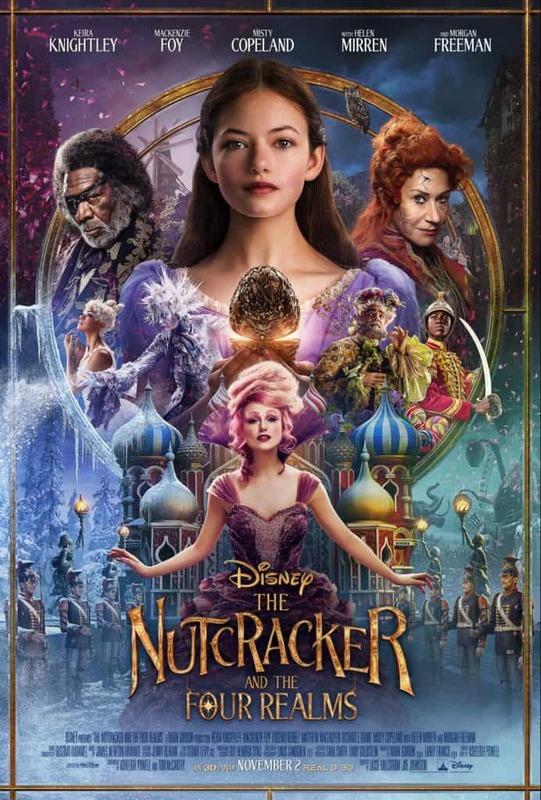 The Nutcracker and the Four Realms hits theaters tomorrow and is the must see movie of the holiday season! Disclosure: We attended a press screening. All opinions are our own. This is not your mama’s ballet. 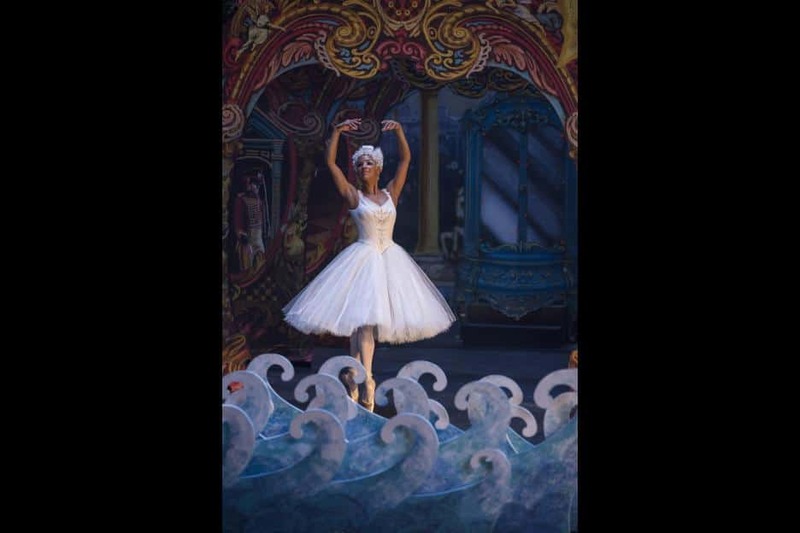 I am a HUGE fan of the Nutcracker ballet. It is something that I love attending each year and so the storyline is very familiar to me. 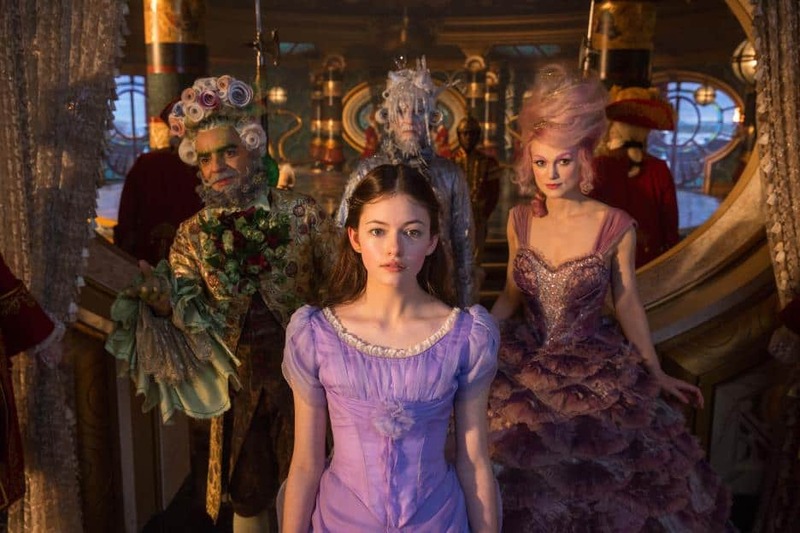 The Nutcracker and the Four Realms takes the classic story and ballet and adds that amazing spin that Disney does best. Yes, there is some incredible ballet in it, but much of it goes beyond the basic storyline. 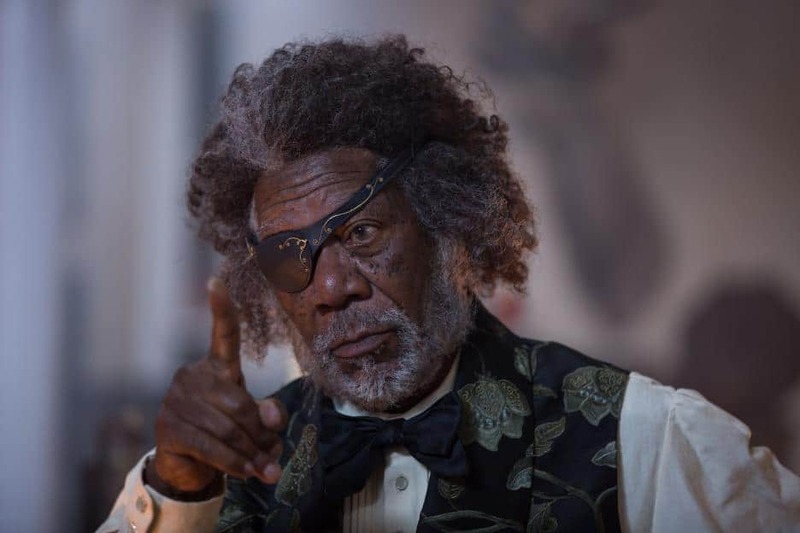 The Nutcracker and the Four Realms still follows our beloved Clara to a party with Drosselmeyer (played by the incredible Morgan Freeman). Clara, desperate to open a gift from her late mother, is sent on a search for a key, which leads to the magical four realms. From there adventure begins and she is cleverly challenged and through it, taught about what is most important in life. 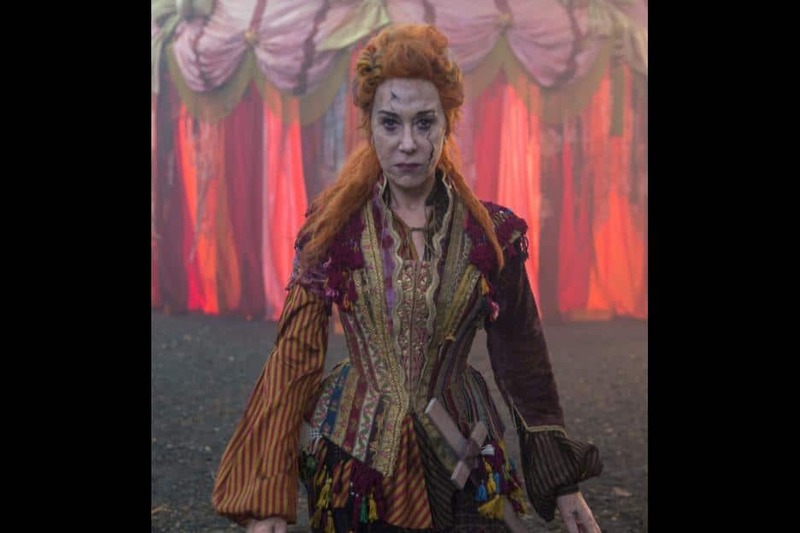 The magical world of the four realms is much more than we ever imagined from the classic ballet. She still meets the Nutcracker, they still battle the rat king, but the twist comes in the four realms and you just have to see that part to understand how poignant the story really is. The biggest pull for me aside from my extreme adoration of the story, was Misty Copeland. I love her. I have watched hundreds of videos of her performing and I am absolutely enamoured with her elegance and ability to tell a story with athleticism and beauty. 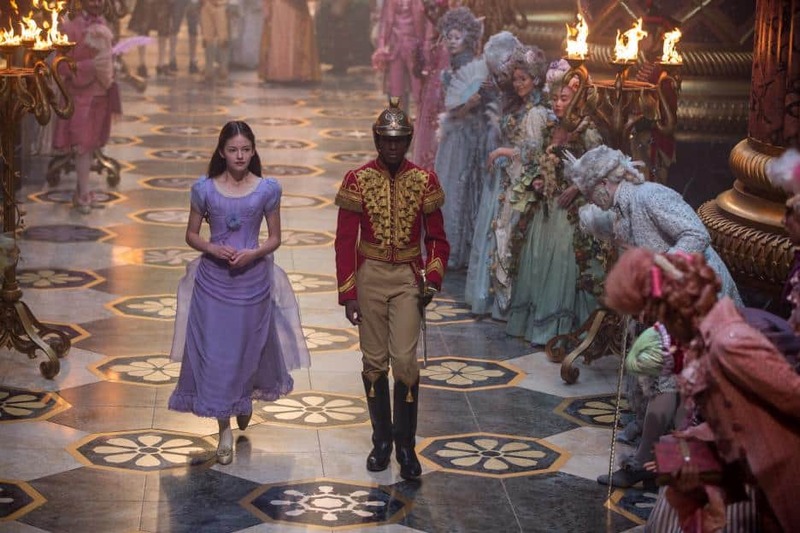 Misty brings her elegance and storytelling to The Nutcracker and the Four Realms. She perfectly walks Clara and the audience through the history of the four realms. I was very glad to see that although Disney focused on their extended storyline, they still kept the ballet in and representative of the core story. If you would ask me prior to Tuesday what my favorite live action Disney movie was, I would have replied Beauty and the Beast. I loved that movie so much, not just because it is a favorite of mine, but because everything from the set, to the actors to the costumes and cinematography was incredible. 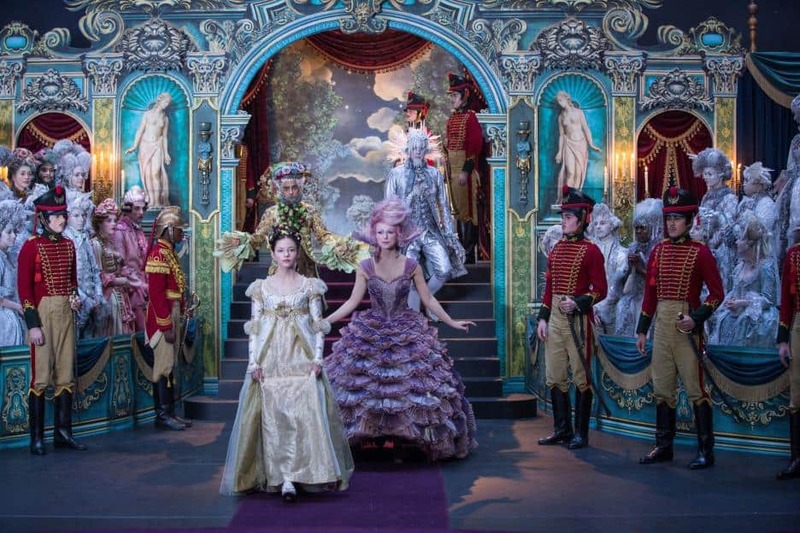 The Nutcracker and the Four Realms is now tied for first in my list and I think the picture below shows you just how beautifully presented this movie is. The costumes are…just…WOW. I mean Disney always exceeds expectations, but I could not even fathom how much they would bring to the story. The regents of the four realms are dressed to represent the realms that they preside over. The set in every single frame is mastered with the most minute detail thought of. The actors are whimsical and draw you into the story. I honestly could not take my eyes off the screen and nearly forgot that my kids were next to me in the theater. I was enthralled in the movie and am already planning to see it again this weekend with my husband. You too can catch this incredible movie that is sure to be a massive hit this holiday season. The Nutcracker and the Four Realms arrives in theaters tomorrow, November 2, 2018. Get those tickets and join in the magic with me!